Home » george lucas , harrison ford , indiana jones , movies , steven spielberg » Fifth INDIANA JONES movie... is REALLY happening?! Fifth INDIANA JONES movie... is REALLY happening?! 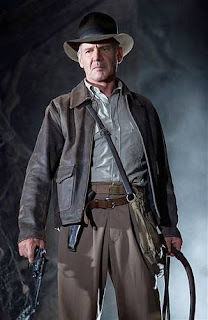 "The story for the new 'Indiana Jones' is in the process of taking form," Ford told France's Le Figaro. "Steven Spielberg, George Lucas and myself are agreed on what the fifth adventure will concern, and George is actively at work. If the script is good, I'll be very happy to put the costume on again." Yeah, I saw Crystal Skull for the first time in July when I was up in Connecticut at my uncle's. When I finished watching I was like, "This wasn't a bad movie. What movie did everyone else see?"